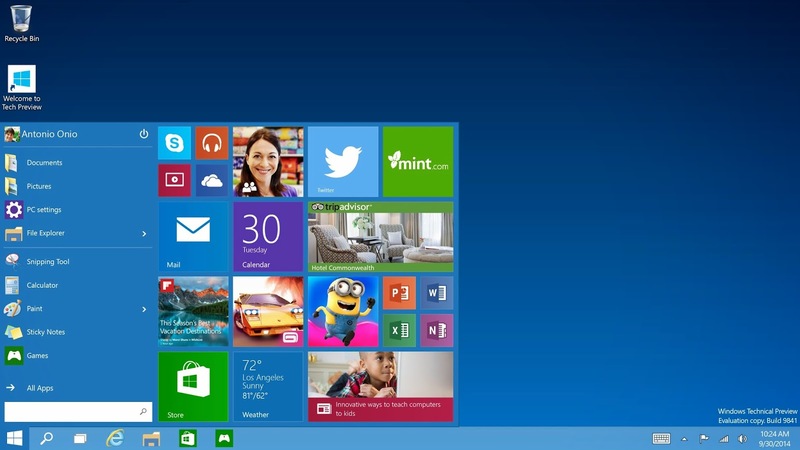 Microsoft has finally unveiled the release of Windows 10. However, the release of windows 10 unmasked great features. Unlike windows XP, it was great, then when windows vista was released, it was declined by all, then Microsoft took a great step to release windows 7 which was also doing great, as windows 8 was launched, it was disliked by all, then Microsoft took another step forward for the release of the great looking windows 8.1. Lately, Microsoft was still to bargain if releasing windows 9 would be a great service to their users, but seem like they knew it would be also be declined by all. Now they took one of the greatest move to release the latest Windows 10. That's really amazing, you can notice the phase during the release of this windows. Today's stroll, I would explain the 5 Amazing reasons you should download and install the newly released windows 10. Ya! Started with a cool start button and windows 8 almost denied me that feature. Am happy to tell you that windows 10 is back with our real start button, it's even like an upgrade to that of windows 7. It's really looking amazing. Wow! The start screen and menu is really cool and looking more advanced, I really appreciate Microsoft for there great works. With this new start screen and menu look, users can easily drag programs between the two columns, it all depends on whether they love it to display as a cool live tile, or the traditional shortcut. Not only that, on the start screen, the search is now advanced in such a way that you can both search through the PC and web. Really amazing isn't it? 2. Do you know that you can perform Over-the-air system recovery? This is really going great with Microsoft, Over-the-air system recovery, I must really say a very big well-done to Microsoft for this features. With Over-the-air system recovery, you don't need to manually perform a system recovery for your system, and this would also save you the risk of damaging your system. This function would automatically perform a system recovery, by just downloading the needed files from the Internet and restore your system. It's really cool. Remember a tutorial I posted on “how to perform a system recovery for windows 7”, even for Windows 8, bet me, you won't be needing that for windows 10 because it's very much easier. I really appreciate the good works of Microsoft for this. The newly released Windows 10 also comes with more universal apps, that is, the metro apps, modern apps or the windows store apps. Unlike the iOS and Mac OS, they are known for using universal apps across there products. Seems like Microsoft would be ahead of apple, with this create features. With this features, there would be better interaction across all Microsoft devices, and Microsoft would presumably advance same features to windows phone 10. This must be one of Microsoft biggest achievement of Microsoft. Microsoft really performed a advancement in windows 10 in terms of battery usage. 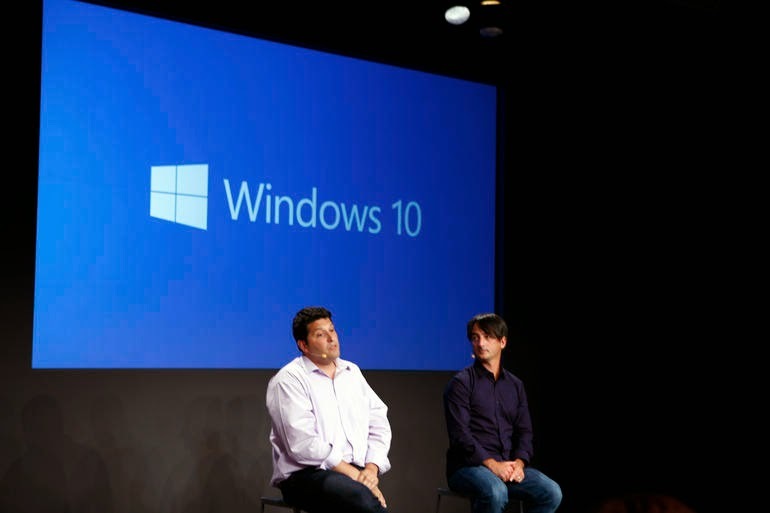 They went further to advance the power-saving features of windows 10 with lots of battery saving functions. This was one of the things Microsoft never advanced and that made apple to be one step ahead, in terms of battery usage, but with the newly released windows 10 and it's power-saving features, they've now cleared the gap. This time around, you won't be needing any other power-saving tips for your windows PC or installing any other third party apps that would help with it. It's already with the windows 10, it's in-built. Seems like Microsoft is ready to engage with more users. It would be so bad that, after all the great and unique features of the newly windows 10, it would be on the high side of cost. But thanks to Microsoft, it isn't. The newly Windows 10 is so very much cheap and affordable to all windows user, and very easy towards upgrading, from the previous version of windows to windows 10 due to the reduced cost of upgrading it unlike the previous windows that was on the high side. You should know that Microsoft is known for increment in price of windows, looks like they now attain a change of behavior with the reduced cost of windows 10. Fixed windows update, making it more efficient towards updating the windows. Improved security with unique features. Cool virtual display and task view, which allows user to enjoy and accept the multiple display with cool individual settings and nice user interface. Great improvement with windows explorer and many more. With the great achievements of Microsoft regarding to the newly released windows 10, I advice you take a step forward and upgrade your windows PC. At least, I've given you few reasons you should download and install the windows 10 regarding to the features explained above. Sit tight pals, more updates about the windows 10 would flow into your mail, simply join our email readers via here to get the latest PC and even mobile tips and every other tutorial regarding to technical facilitating. Hope you really enjoyed the article, I would appreciate if you do share this article with the help of the share and like buttons below. Bookmaking it would also be great. And don't forget to like our facebook page via here, to receive latest tips on your facebook wall.